Many youngsters choose to take up the lifeguard career and they attend courses to become lifeguards, in the beginning they face a little problem in getting the kind of job they hope for. For instance they might want to be placed at flashy pool areas, however they may end up catering to a children’s swimming pool. This demoralizes many lifeguards and they choose to switch their career, which is not the right thing to do, it takes time for a person to establish his career. Similarly it takes time for a lifeguard to be located at flashy places and to draw high salaries. One needs to demonstrate consistency and patience in order to progress up the career path. The job pays well, once a person establishes his lifeguard career then he takes home an annual salary that could stretch up to $100,000 and even more. Lifeguards are entitled to benefits such as medical insurance, life insurance, and pension plans. They also receive a hefty allowance for protection against sunlight. The population of coastal areas is increasing, there is a large influx of immigrants and there are more and more people visiting the beaches every day, therefore, there is a large demand for the services of a lifeguard and there are plenty of jobs with a promising lifeguard career. 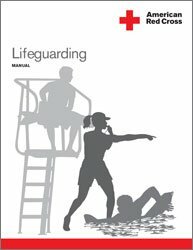 Lifeguard training and practices equip a person with a set of skills and competencies that they not only use during working hours but also during their ordinary course of life and in other situations of emergency. Lifeguards need to maintain their health and physical fitness during their career because that is the requirement of their job. Lifeguards develop excellent communication skills, they spend a lot of time talking to their team members and supervisors, and they also need communicate with people at the beach. This helps them develop public relation skills and they become good presenters and orators. Lifeguards have to deal with a lot of people during their duty hours; this helps them improve their interpersonal skills and their personalities. Lifeguards can mingle with all sorts of people coming from all sorts of backgrounds. Lifeguards are a part of the emergency team, they save lives. It is known to be a noble profession that serves humanity and people look up to lifeguards just as they look up to doctors and men of the armed forces. If a person is dedicated to his lifeguard career and does his job wholeheartedly and willingly then he would probably not find satisfaction in any other field. The job first and foremost is very well paying, since the responsibility is huge lifeguards are exposed to a friendly environment where people support one and another and watch each other’s back. The supervisors are apparently strict and stern but at heart they are nurturing and kind individuals who do their level best to keep their team together and work for the benefit of all. Lifeguards work at the beach, the job does get monotonous but they mostly have fun watching the sea, the surfers, the sunbathers and the swimmers.